She speaks english, german, arabic, kyrgyz and Russia. She is also a radio host in Bishkek. Dinara was born and grew up in nomadic kyrgyzs family. 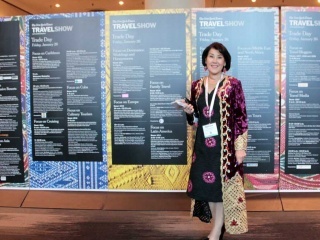 After graduating from kyrgyz national university with the degrees in languages she started working as a top interpreter and guide-interpreter and tour guide in her homeland’s major companies and government organizations. She loves hiking, photography, cooking. Dinara’s passion is arranging the special cocktails near Issyk kul lake after horsebackriding and sunset photography tours.